MOD Engineering is always trying to be in line with the trends of all industries it operates in. We are eager to learn about the changes and opportunities both in local and international markets. 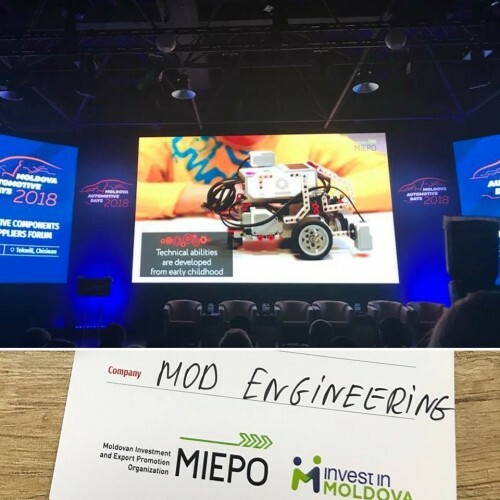 That’s one of the reasons why we have attended the Moldova Automotive Days 2018, which is the leading industry event aimed to gather all industry stakeholders, including government, business, multinationals, professionals and scholars, to discuss trends and challenges facing the automotive components industry regionally and in the country, set the premises for sustainable entrepreneurship environment to foster sector development and attract investment.